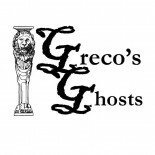 Greco's Ghosts | Art. History. Culture.